Registered nurse certification in Louisiana provides a wide range of job opportunities and career satisfaction to the nurses. It imparts various skills and enhances the knowledge of the nurses, so that, they can handle the patients more efficiently. The Louisiana Board of Nursing which aims at protecting the health and life of the citizens, licenses the RNs. The two ways to acquire RN certification are – by examination or by endorsement. For getting license through examination, the candidates must meet the requirements listed below. Complete graduation from a state-approved nursing school. 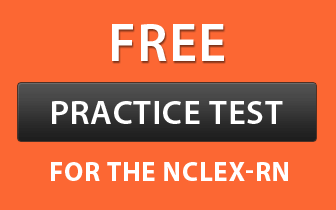 Pass the licensure exam, i.e., the NCLEX-RN. Submit duly filled application form at least 60 days before completion of graduation. Provide official transcript submitted directly from your nursing school to the Louisiana Board of Nursing. The applicants must have no allegations of cause for rejection of certification. Should have no criminal or civil charges pending against him/her. The candidate must be free from all restrictions of any form, by any health regulatory or nursing board in any U.S. state. If required, provide two fingerprint cards and two Bureau of Criminal Identification form. Submit proof of RN license originally issued in another U.S state, territory, or country. Provide proof of current active registered nurse license that was issued from the jurisdiction of previous employment. Successfully complete graduation in any nursing education program approved by the LSBN. You must not have any pending criminal accusations. Candidates ought to be free from all disciplinary actions by any health regulatory board or state board in any U.S. state, territory, or country. If you have done your graduation from a foreign country where English is not a native language, provide proof of proficiency in the English language. Submit CBC (criminal background check). The stepwise procedure is explained below. The applicants may apply for a 90-day temporary permit while filling the form. After completing the application details, submit it with the documents to the mailing address given below. After submitting your application form, register yourself with the Pearson VUE using the following link to receive an ATT (Authorization to Test). After receiving ATT, schedule and pass the exam. Upon completion of all the documents, the license will be issued by the board. After that, read the instructions mentioned in the form carefully. The applicants may apply for a temporary permit of 90 days while filling the form. Enclose a non-refundable fee indicated on the application form (page number 5) in the form of money order or bank cashier’s check only. Submit the completed application with the required documents to the mailing address of the board office (provided above). Registered nurses are required to renew their Louisiana license annually. Pay the renewal fee by Master Card, Visa, Discover credit cards, or American Express. Enclose an appropriate fee of $100 in the form of cashier’s check or money order only. Submit completed employment verification form. Submit criminal background check report. Submit photocopy of certification letter (card) issued by a national nursing specialty organization. Submit photocopy of official transcript displaying the awarded credits in nursing course.